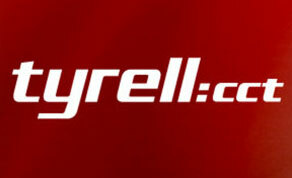 Tyrell has announced the appointment of Lynn Keegan to Chief Operating Officer. Lynn’s appointment reflects Tyrell’s continued investment in the quality of customer experience. In her new position, Lynn will oversee all customer-facing departments including Customer Support, Professional Services and Operations as well as Technology and Innovation for Tyrell. This role includes responsibility for customer success-focused activities as well as driving operational excellence across the organisation. Tyrell is the leading technology solutions provider for the broadcast, post production, production and education sectors in Ireland & the UK. The company represents leading global suppliers of video, audio, storage, infrastructure and media streaming solutions including Avid, Clear-Com, EditShare, Pixit Media, Aspera, Object Matrix, Telestream, Intinor, IBM, LiveStream ABonAIr & LiveU.